WALDNER Laboreinrichtungen GmbH & Co. KG is a company of the WALDNER Group, which employs approximately 1,000 employees worldwide. We have developed and produced laboratory furniture for all applications in Wangen im Allgäu for more than 60 years. Our laboratory furniture system SCALA is based on a modular principle. Depending on the situation and requirements, it can lead to completely new layout solutions or supplement existing furniture. The consistent adherence to an ingenious size grid for the basic components provides a maximum of design possibilities in every functional area of the laboratory. However, we are not only furnishing your laboratory but we are also taking on the planning of your laboratory by request. We are, of course, providing suitable accessories for your laboratory, and our service technicians will visit your laboratory facility in regular intervals for inspection and maintenance works. “Act instead of react” has always been our maxim. 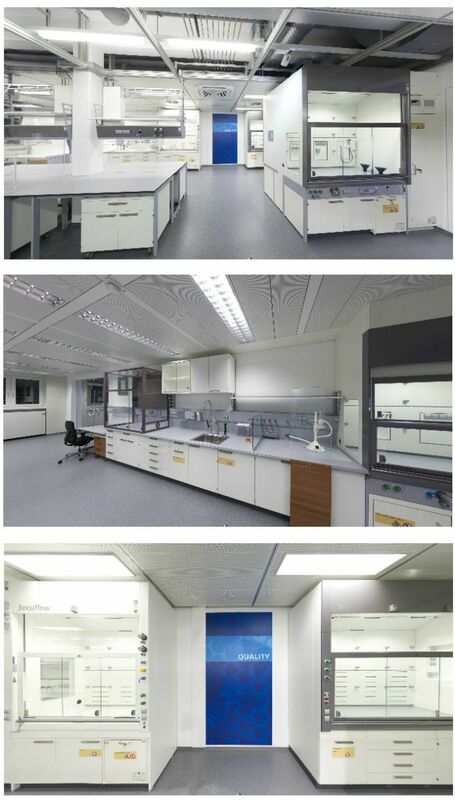 Many of our innovations and developments are regarded worldwide as the benchmark and have significantly influenced the workplace in the laboratory. For our SCALA laboratory furniture system, we have designed useful accessories. Fume cupboards for more safety. All laboratory work during which gases, fumes, particles or liquids are handled in dangerous quantities and concentrations must be performed in fume cupboards. Our bench mounted fume cupboards with side installation which are tested in accordance with EN 14175, e.g., use 350 m³/h/lfm, all bench mounted fume cupboards with Secuflow technology require 270 m³/h/lfm. It prevents turbulence that could carry pollutant emissions. With SCALA school furniture system we provide the ideal basis for successful learning. Due to the large number of possible configurations our modular concept enables to design multi-functional classrooms and to fully utilise their capacities.